Folktales form a vital part of every culture around the world. They play their part in preserving the essence of the culture and often contain hidden morals. They give us a glimpse into the life, values and ideals of a country and suddenly the country becomes no stranger to us. 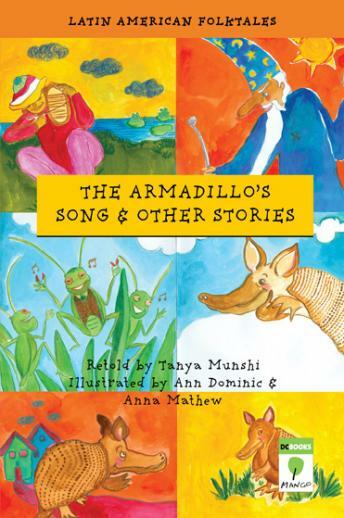 The armadillo has but one wish in life, to sing. And he is willing to sacrifice anything to gain that gift. The two young orphans endure a life of hardship and finally, they receive nothing other than divine aid. The young cowherd too receives the kindness he deserves after a tough time spent in misery. Beautiful folktales from Latin America, wonderfully retold, charmingly illustrated!